Dark Souls 3 is out in a couple of weeks time, and to get you in the mood for more grimness and repeated viewings of the “YOU DIED” game over screen, a couple of Souls-inspired trailers have appeared online. The first is an animated short, called “The Witches,” directed by horror movie maestro Eli Roth, the man behind the Hostel series, Cabin Fever and, more recently, The Green Inferno and Clown. Roth, along with the team at Six Point Harness, had Souls publisher Bandai Namco keep an eye on the project to make sure it didn’t stray too far from the spirit of the games. You can watch the animation below; it’s a bit graphic in parts, much like the majority of Roth’s work. There's also a short ‘making of’ video available here. Roth speaks of how much he enjoyed working on the project, and his love of the medieval fantasy/horror genre in general. He also mentions that he’d like to do more work on the series. Maybe this is Roth hinting that he’d like to be considered should any Dark Souls movies or full-length animations get made. 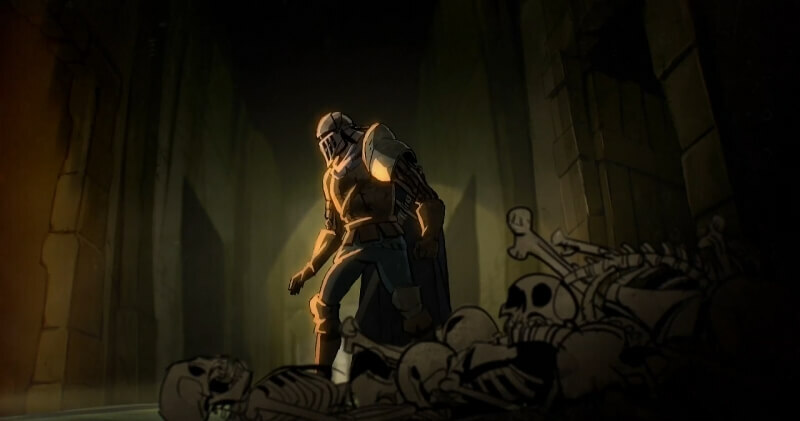 The second, unrelated, video also puts Dark Souls in a movie-style format, but this one’s a bit different. It’s been put together by Bandai Namco, and presents Dark Souls 3 as an 80s horror movie. Clips from the upcoming game are overlaid with the same cheesy text and voiceover style that were so prevalent in trailers from the era. Dark Souls 3 is one of our 10 Most Anticipated Games of 2016. The third game in the series (or fourth, if you count Demon Souls), which will be released in the US on April 12, is said to have faster and smoother combat than the previous Souls titles but is still very, very hard.